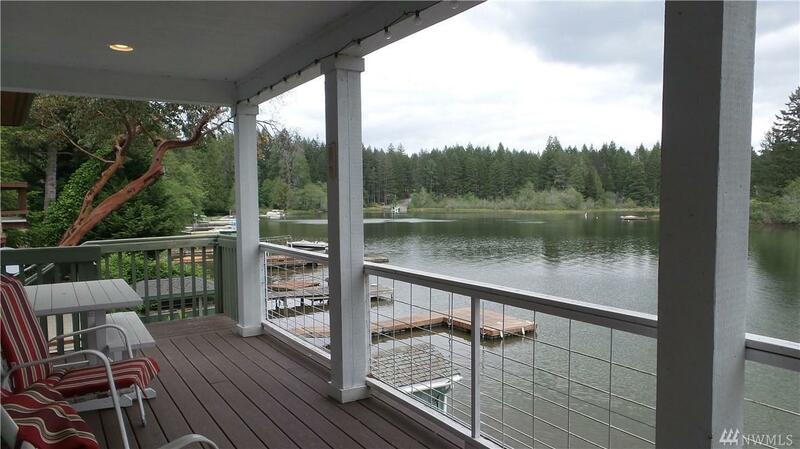 Waterfront living on Mason Lake! This like-new home was built in 2008. 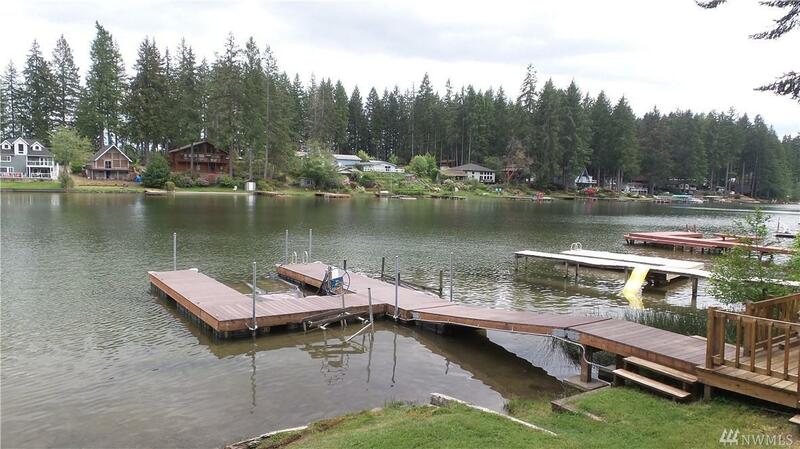 There are 2 BR, 1.75 Ba, a loft, a Granite Kitch, a covered deck and patio, nearly new large U shaped dock, for a boat and 2 jet skis, 60+/- feet of quiet north lake frontage. The additional 1024 SF basement has room for storage and is nearly half finished, with doors to the patio and a finished stair to the main floor. 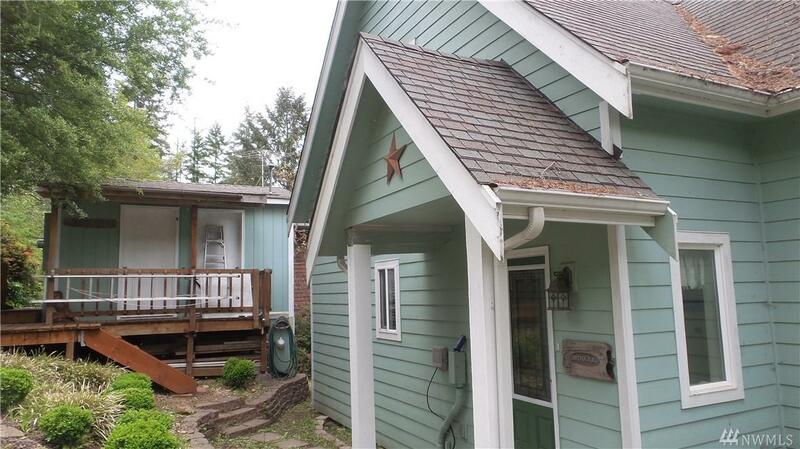 There are a number of outbuildings, incl. 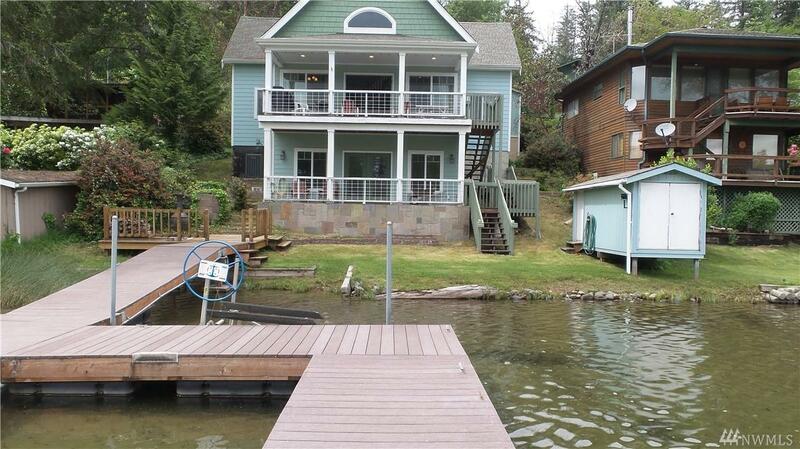 a nice double carport for boat storage! Call today!